Some men take to gun-running because they have a longing for danger and adventure. Girija Krishnan, an Indian clerk, is not one of them. Deep in the Malayan jungle, Girija stumbles on a cache of arms hidden during the communist insurgency. Selling the arms will help Girija achieve his lifelong dream of founding a transport company. Two American tourists in the Far East find more adventure than they bargained for when they get entangled in Girija's plans. Greg and Dorothy Nilsen had wanted to go on an adventurous trip, to see some out-of-the-way places. So when Mr Tan in Hong Kong asks Greg to travel to Singapore and help with a business deal, Greg is surprisingly receptive. 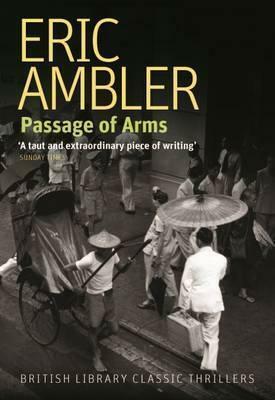 All he has to do is sign some papers and collect a handsome fee - but this is Greg's first step into the dangerous world of post-colonial rebellions, Chinese gun smugglers and Islamic revolutionaries.This classic thriller won the Crime Writers' Association gold dagger in 1959.